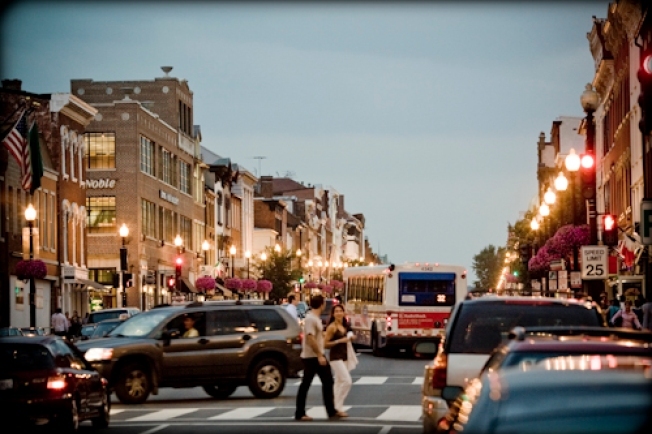 This week, the Georgetown Business Improvement District crowed over the opening of 29 new national and independent businesses in the neighborhood in 2011. Maybe so! But how about those that closed? Georgetown Metropolitan has a more objective handle on the situation, and he found that the city's "shopping playground" actually lost 21 shops and restaurants overall, with 509 establishments open and 117 vacant spaces. Of course, there are a lot of factors at play here, most notably the expulsion of shops from the Georgetown Mall in preparation for its redevelopment. Today, theBusiness Journal squeezed a bit of information out of landlord Vornado, which says it's aiming to make space for "seven to a dozen stores," rather than the current "60 or 80." Could the stores that got booted take up those vacant spots in the rest of the neighborhood? Not likely -- rents in the mall, especially in the last few years, were dramatically cheaper than the space outside. So by the numbers, at least, Georgetown's retail situation may never look quite as robust as it used to. Obviously, the health of a neighborhood's economy is a much more complicated thing. How’s Georgetown Retail Doing? Depends on How You Count. was originally published by Washington City Paper on Feb. 3, 2012.